The winning combination of a strong grassroots campaign, supplemented by an aggressive digital, social media, and advertising initiative will be crucial to victory in 2016. Last month, the Democrats suffered what the media called a "crushing defeat" in the midterms, losing the Senate and facing the most lopsided House in 60 years. •To the Democrats: Relax. You were always going to lose. Historically, the sixth year of a presidency, which is the second midterm election of any administration, goes poorly for the president’s party. Known as the Sixth-Year Itch, the president’s party has had significant losses in every year sixth year but 1998, when GOP overreach over President Bill Clinton’s impeachment resulted in Democratic gains. Charlie Cook, the National Journal’s election guru, wrote about the Sixth-Year Itch in January, saying, "Voters become disgruntled and increasingly receptive to a ‘time for change’ message, which also explains why the party holding the White House was kicked out after two terms in 1960, 1968, 1976, 2000, and 2008. The only post-WWII time the party previously in power held for a third term was in 1988, after eight years of Reagan." On top of battling history, the Democrats were running vulnerable incumbents in states where 2012 Republican presidential candidate Mitt Romney won with incumbents who couldn’t – or wouldn’t – run the Democratic Party’s policies of the last six years due to President Obama’s unpopularity. •To both parties: Messaging matters. The Republicans seemed destined to win based on history, but that doesn’t mean the party didn’t win the messaging war. With a president as polarizing as Obama, all the GOP had to do was tie other Democrats to him and watch them sink. The Democrats didn’t have that single message – and looked scattered and distracted running campaigns on important, but narrower issues such as abortion rights (see Mark Uterus) and raising the minimum wage. In off-year elections, Democrats have to motivate their key constituencies that don’t vote as reliably in midterm elections, which means younger voters and minorities. Without a built-in narrative to counter the second anti-Obama midterm thumping, Democrats watched as the lowest turnout since WWII kicked their incumbents out of office all over the country. With an eye on the next presidential election, both parties will have to strategize and develop winning messaging. The Democrats must formulate a thoughtful and compelling message to overcome the GOP’s effective trouncing of the Obama administration. Most importantly for the Democrats, they will have to create a cohesive counterattack on Republicans to underscore their view that the GOP is devoid of any strategies to make America better and is seemingly only effective at denouncing what they are against. •Digital politics go hand-in-hand with grassroots campaigning. It’s amusing to watch the blogosphere announce its own self-importance in politics. Yes, it’s decidedly true that effective digital campaigns and social media outreach are key tools in winning elections, but the door-to-door efforts by candidates are still key to decisive victories. 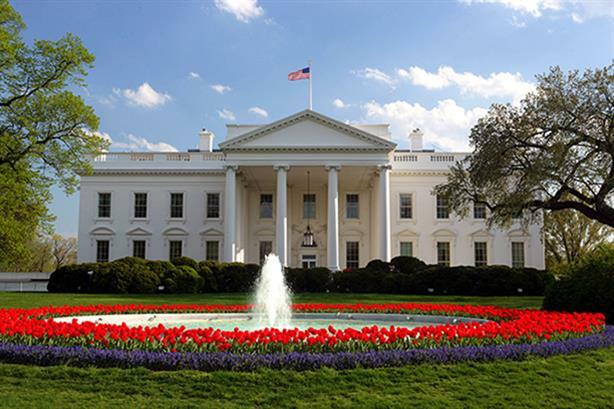 As both parties gear up their digital weaponry for the important 2016 presidential race, they still will need to have viable candidates who can touch and motivate their party’s base. The winning combination of a strong grassroots campaign, supplemented by an aggressive digital, social media, and advertising initiative will be crucial to victory in 2016. Sam Singer is president of Singer Associates in San Francisco. He can be reached at singer@singersf.com.